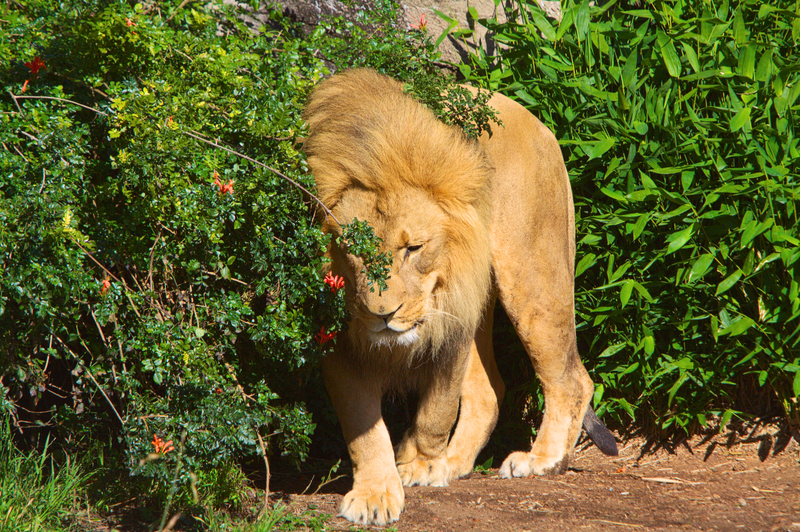 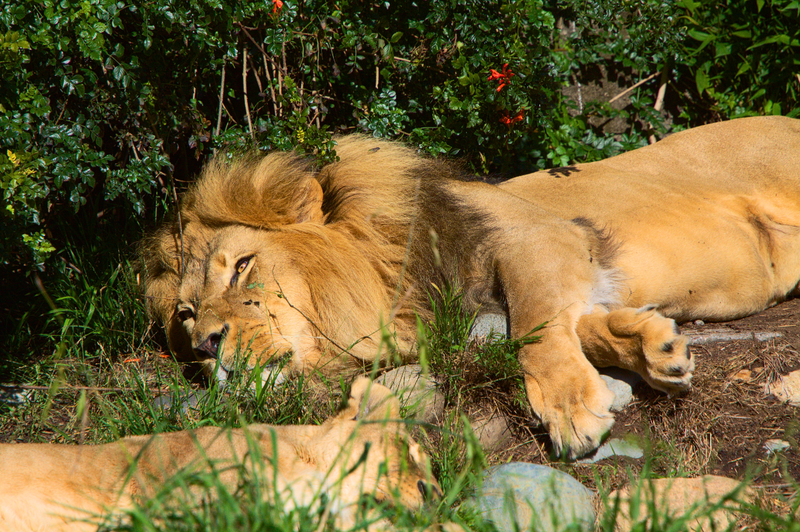 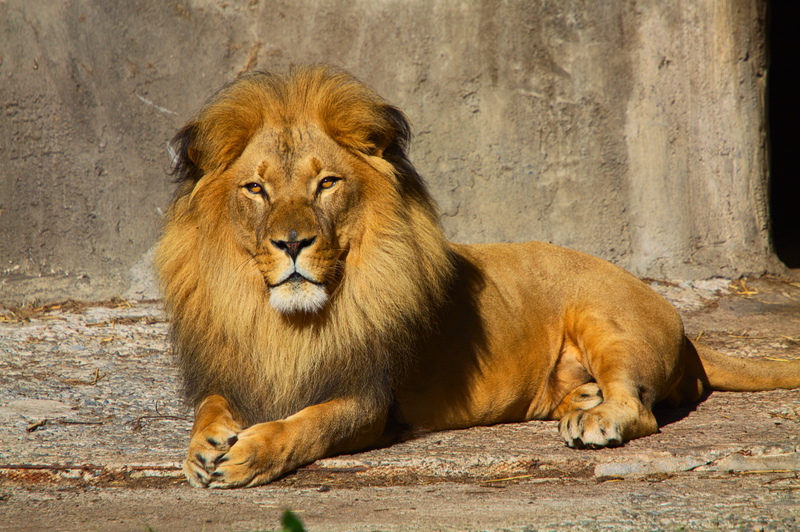 The lion is resting with his lioness. 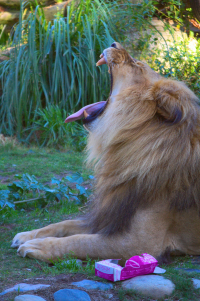 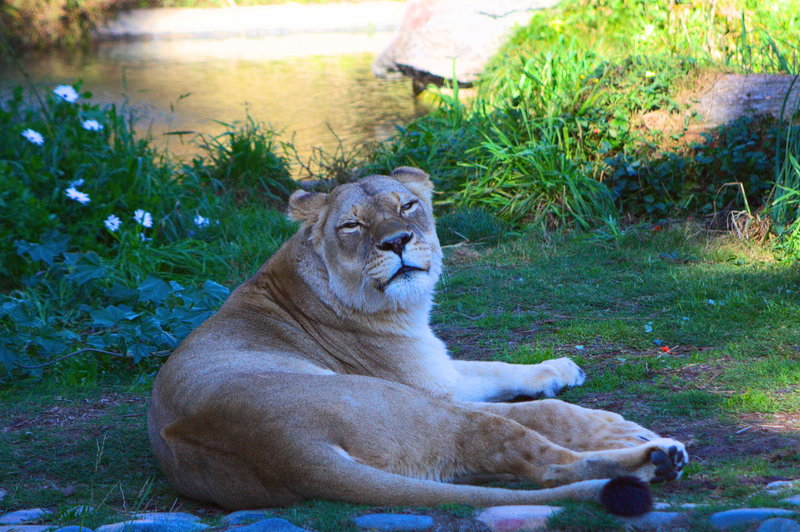 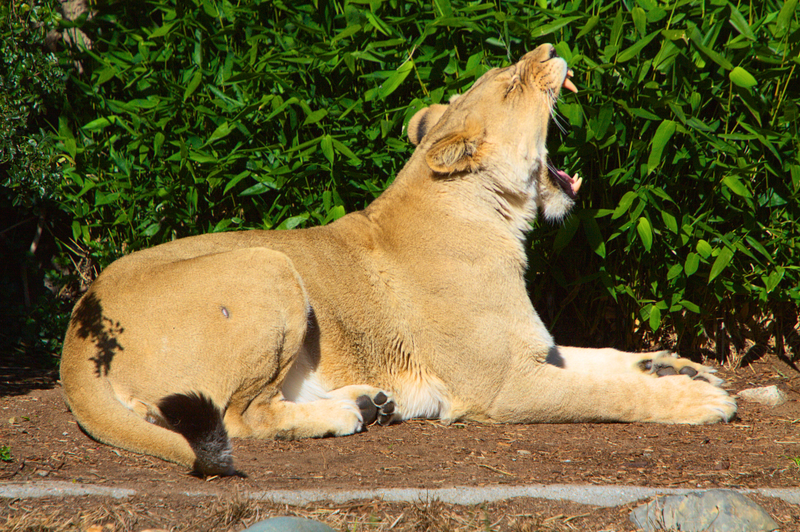 The lioness is flehming or whatever she is doing there. 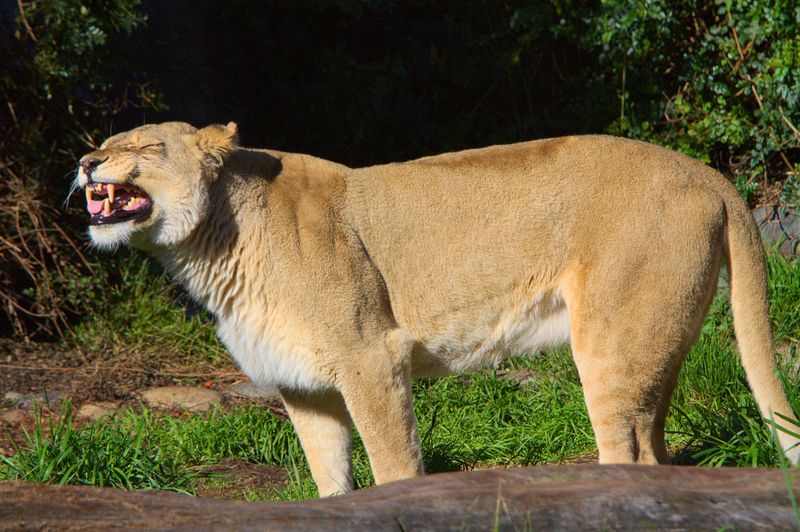 The lion opens the sweet box and..
...the lioness is not very happy about it. 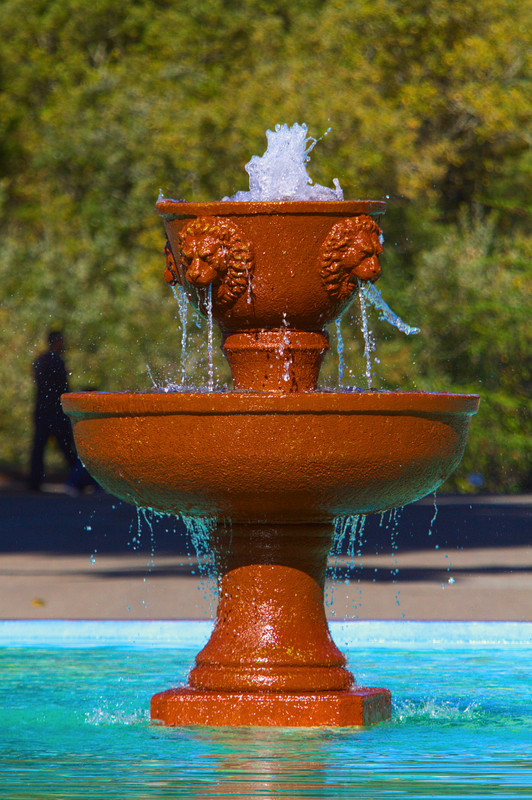 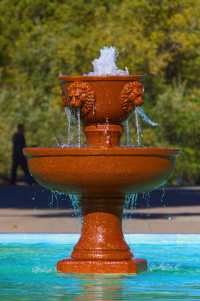 A fountain dedicated to the lions. 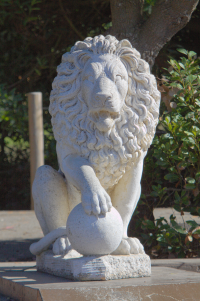 One of the lion statues. 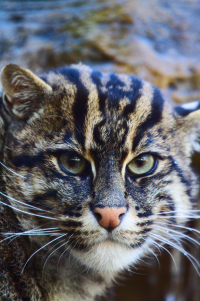 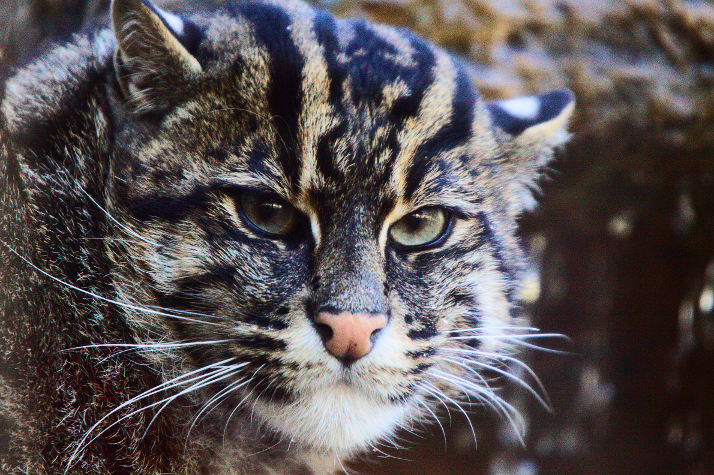 A closeup shot of an Asian fishing cat. 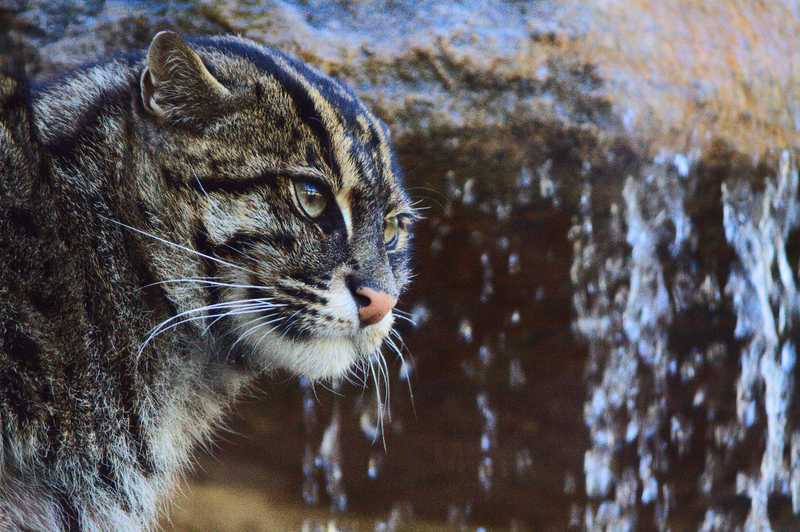 Fishing cat taken through 2 glasses in a very dark enclosure. 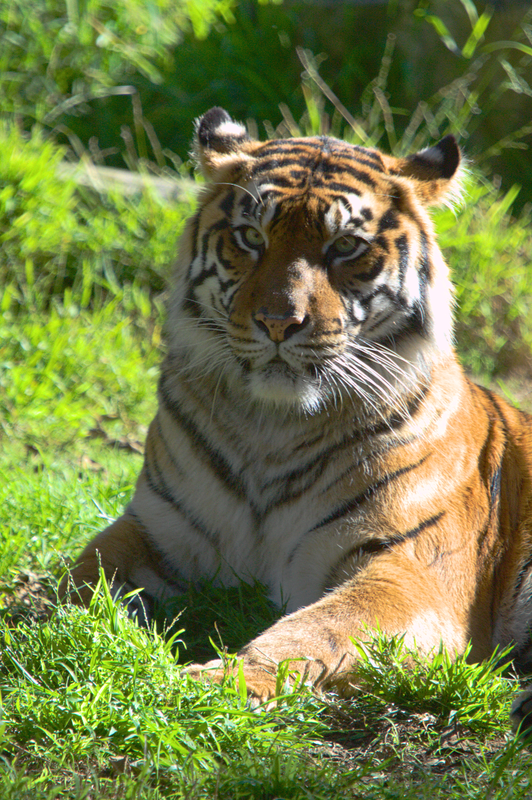 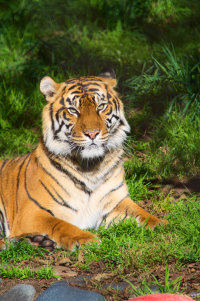 One of the nice tigers in San Francisco.